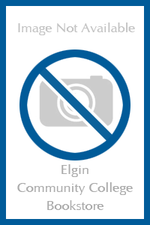 The ECC Bookstore is owned and operated by Elgin Community College for the benefit of our campus. Proceeds from purchases made at the bookstore support Elgin Community College and its students. Thank you for your support in choosing to shop at the ECC Bookstore. Hours: M-Th 8 a.m. - 7 p.m.; F 8 a.m. - 4:30 p.m.
Closed Fridays during the summer session.